Maui Sands is an ocean front property. Maui Sands was built in the traditional Hawaiian Style with a common courtyard blessed with lush native Hawaiian landscaping set around a larger resort sized Pool and native Hawaiian open grass areas. 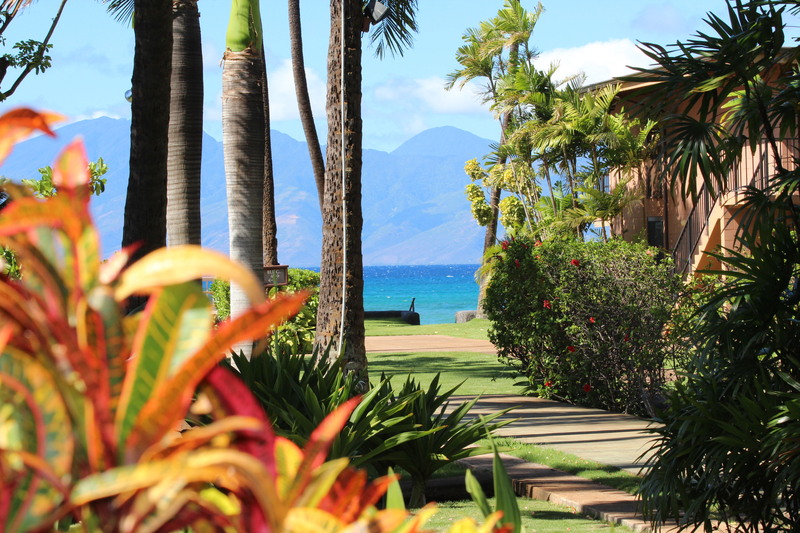 Maui Sands was one of the first resort style properties in West Maui and has some of the most beautiful, exotic native and mature flora that you can view right outside of your unit. Why stay anywhere else? Maui Sands is located on the edge of the North Kaanapali Beach, just past all the large resorts. Maui Sands is perfectly located, close enough to everything but just far enough away from the crowded Hotels. Maui Sands has 2 access points to enter the ocean so you can stroll down to North Kaanapali Beach at low tide. You also have easy access to the Kaanapali Boardwalk which starts just south of our property off the Lower Honoapi'ilani Road and it continues all the way down Kaanapali Beach past Black Rock into Lahaina.